In the previous post, we talked about solving linear inequalities. In today’s post we will focus on compound inequalities, which are just a little more complicated than linear inequalities. A compound inequality is an equation of two or more inequalities joined together by “and” or “or”. Sometimes you see compound inequalities joined by “and” written like -3<2x-1<5. Compound inequalities have three parts: the left, the middle, and then right. Just like compound inequalities, our goal is to isolate the variable. However, we want the variable to be isolated in the middle part. How do we get that answer? The key is to break the compound inequalities. Simple enough? Let’s break down an example step by step to understand the concept. Based on the definition of a compound inequality, we know that this compound is made of two inequalities. We break the compound inequality down into its two inequalities. 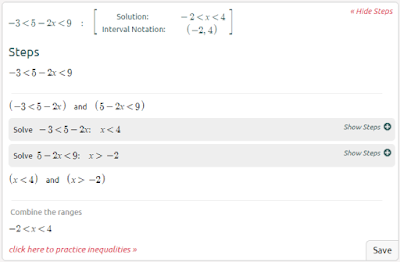 Using algebra, we can isolate x and get two simplified inequalities. 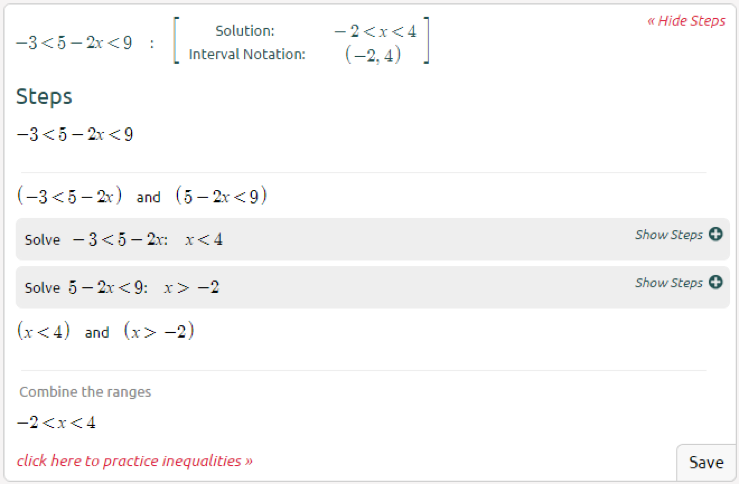 Make sure after combining the inequalities that the simplified compound inequality makes logical sense. Let’s see two more examples . . . Solving compound inequalities is just little harder than solving linear inequalities. Remember to keep your work nice and neat and practice and you will do great! 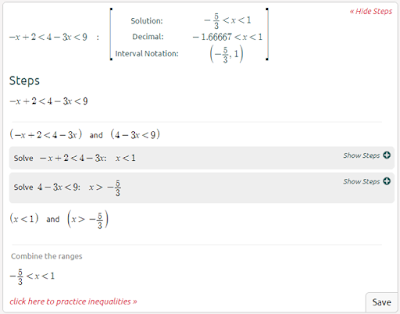 For more practice on compound inequalities, check out Symbolab’s practice. Here is an interesting guide on how to write an ethics essay https://samedaypaper.org/blog/ethics-essay. Take a close look!